There are two defined logo’s for the Canadian BBQ Society – a red image (leaf) and black text on a white background with a solid black border; and a second format with red image (leaf) and white text on a black background with a solid white border. A greyscale format would change the red leaf to either white or black in the corresponding defined formats. 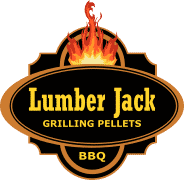 These are the only two accepted formats of the logo and any alterations from these formats requires written approval from the Canadian BBQ Society Board of Directors.